Any basketball game involving the Ball brothers is a pretty hot ticket these days. That goes for the middle son, LaMelo Ball, who has returned from Lithuania to play for the Spire Institute in Ohio. Father LaVar Bell certainly knows there’s a market for highlights of his progeny, even if much of the hype surrounding them is his own doing. This weekend, Spire is taking part in the Big Baller Beatdown in Kentucky (wonder who the sponsor is…). Plenty of media outlets and mixtape creators are going to show up to film the games. However, if they want to film the two games that Spire is playing, there’s a catch. A $3,500 catch. Per the email sent around to interested media outlets, “All games are free to film except for the Spire Institute games. To film either of the 2 Spire Institute games, you will have to present $3,500 at the gate as per rules of the Big Baller Brand media credential.” There are also specific conditions spelled out in the email, including a short recording period (five minutes total) and certain promotional considerations. According to Adam Zagoria, several outlets have agreed to pay the fee. Ball Sports Media Group and their partners will pocket that money, along with the $5,000 per game they’re getting from FloSports for streaming the tournament. And of course, there’s also the Big Baller Brand agreement with Facebook over the “Ball in the Family” reality show to consider. In any other context this might be shocking, but it’s par for the course when it comes to Lavar Ball and his kids. In fact, we’re just days removed from the news that Big Baller Brand allegedly requested a $10,000 appearance fee to show up for the Hoophall Classic via a “consultant.” The prestigious tournament balked at the request and Spire subsequently dropped out. Which is also how the team is available for this weekend’s event. While there’s something to be said for a basketball player attempting to monetize his value in a system that forbids him to do so, the whole Ball saga has caused quite a few headaches for the sport. 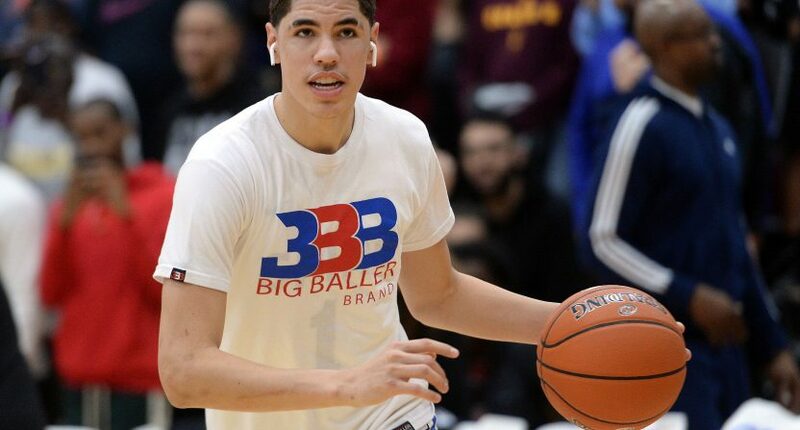 Concerns over LaMelo’s eligibility has caused plenty of other potential opponents to balk as they don’t want anything to do with a guy who has already played in a pro league and has his own sneaker deal (which his family profits from). LaMelo will leave behind the high school game next season, although it is very unclear if he’ll be able to play in college or will have to instead head directly to the G League. Once that happens, his family’s profit margins are going to shrink on him, at least for a while. So it looks like Lavar is going to milk him for everything he can in the meantime.